As it is with this time every year, I make my annual pilgrimage to Las Vegas for the SEMA show. Having been to the SEMA show consecutively also means that it gets a little stale as most booths display similar items over the years. They are for the most parts, same as previous years, and some located in the exact same spot. After doing a brisk 2 days walk of the show, I decided to skip the AAPEX show and just head out to LA to meet up with some vendors. I paid a visit to Clutchmasters in Rialto, CA and was amazed at what I saw was being done there. Driven Performance has been a distributor of Clutchmasters products in Malaysia and Singapore for many years now, but I have never had a chance to come out this far to actually learn more about the manufacturing processes and what goes on with the clutch they supplied. It was truely an eye opener and let me fill you guys in with some details on what goes into the clutches we sell (and use, and race, and place our entire 12hr MME dreams upon). 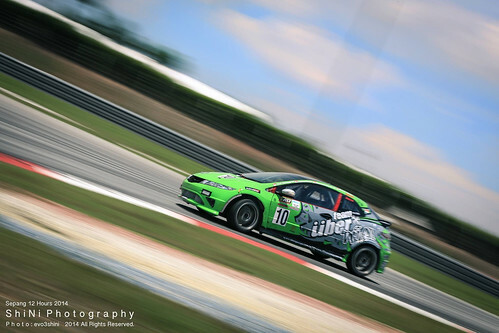 A shot of our car at the 12Hr endurance race event in Sepang, Malaysia. The clutch in there was a FX400 which still looks new after the grueling 15 hours or so of abuse placed through it. Thanks Shini Photography for the great picture! Before we go into more details, here is a link to how a clutch works. With most cars on the road these days equipped with an automatic transmission, I thought some refreshing might be necessary for the non-technical readers. 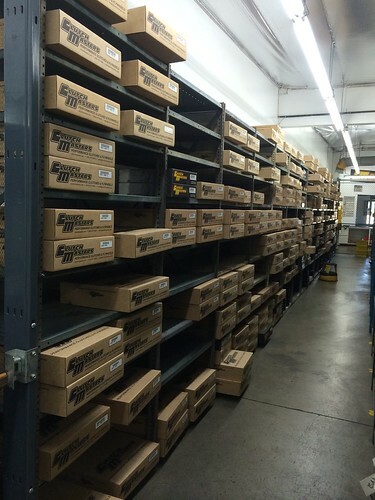 Upon arrival, I was stupefied at what was in stock at their facility to manufacture into the performance clutch kits Clutchmasters have been well known for. 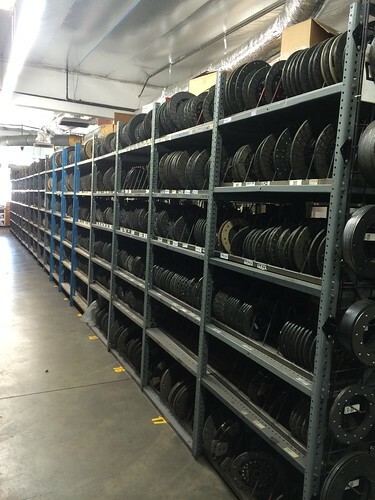 Here is just 1 of the shelves that are stocked full with friction discs! Another with finished products packed and ready to ship! The kind staff at Clutchmasters took a little time out of their busy schedule to walk me through the whole manufacturing process. At the same time, I had a glimpse as to why their clutches were always a problem-free sale for us. We have sold over 300 sets with hardly any problems and I was there to find out why! 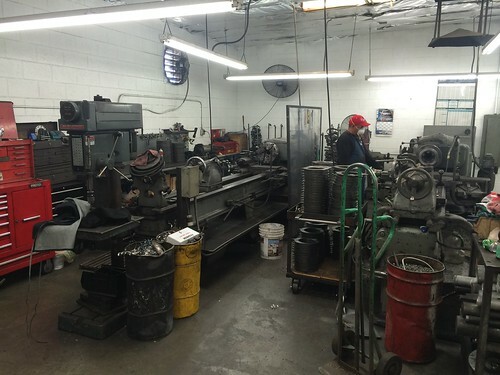 Here is one of the sections where the machining gets done. 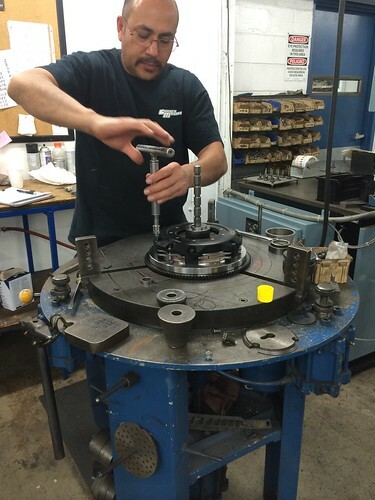 Stamping, casting, working on the lathe,, assembly, etc all gets done in house. 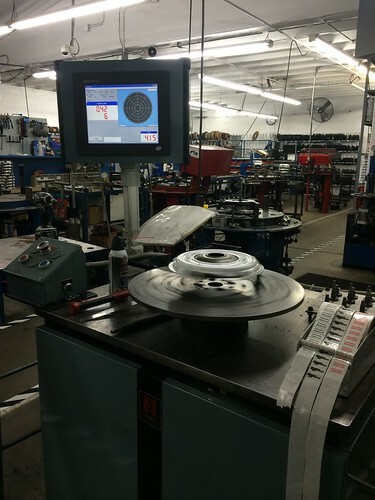 Flywheels gets machined, pressure plate diaphragm gets modified, friction disc getting riveted together, the list goes on. And I thought a clutch was just that, a simple combination of pressure plate, friction disc and a clutch release bearing which is easily purchased from the auto parts store. I was so wrong! I have always informed customers the clutches we sell has an almost stock pedal effort, but has a lot more bite to it. 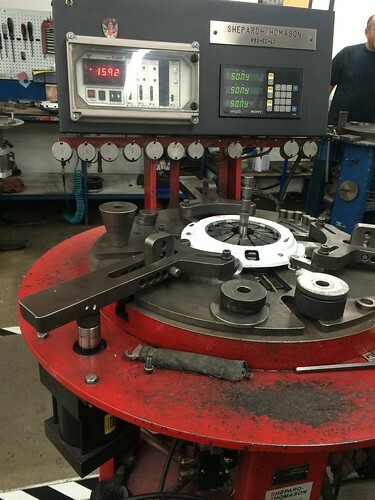 Modifying the fulcrum in the pressure plate to get an increased clamping load is one of the reasons it’s achieved. Relaxed driving, and maximum torque holding capacity! The way I like it! Here is a picture of how the clamping load of a pressure plate is measured after modifying. It shows a popular Honda pressure plate we sell a lot of back home. Thats 1,600lbs of clamping load right there. Here is a 2JZ assembly being tested before shipping to ensure it releases fully so that we do not have a problem with a transmission unable to engage the gears. Yet another machine balancing a pressure plate, or a complete assembly if so required. Reducing unwanted noise and vibration from our high rpm motors is top priority with this extra step. 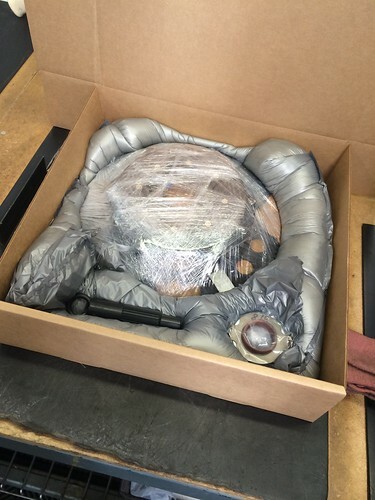 The tour didn’t stop there, I was also shown how it was packed and readied for shipping. The clutch assembly, respective pilot/release bearing, alignment tool and labels were all going into 1 box and needed to be a nice tight fit. Their packing material of choice is foam packaging. It conforms to the exact size required between the products in the box and keeps the items well protected wherever they are being shipped to. 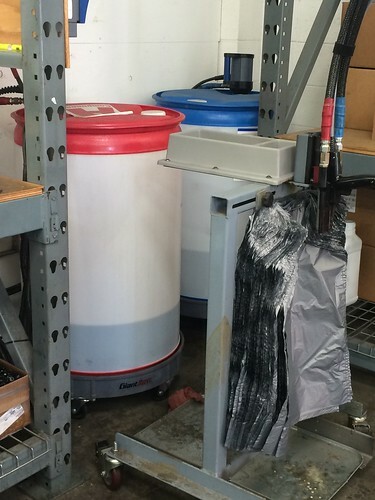 The required chemicals for the job, are stored in these 2 drums. Mixing them together in a bag allows it to “rise to the occasion” for a perfect molded fit. After the comprehensive tour, I am totally satisfied with reselling products for a company that has the correct set of technical skills and their strong belief in their quality product has definitely rubbed up against me. I now have a better grasp of the product and how it all works when put together into your street/race car.